Having homeowners insurance is no guarantee against major losses for those who live in Hurricane Irma’s path. What was once a straightforward arrangement has become less generous and more complicated over the last quarter century as U.S. insurance companies shifted risks and costs onto their customers. Most standard homeowner policies cover damages involved when winds blow the roof off, a tree falls on the roof or flying debris breaks windows. Most also provide protection from fire, lightning, hail, vandalism, explosions and theft, according to the Insurance Information Institute, a trade group. They typically don’t cover flooding, which can become a major issue during hurricanes. Other exclusions include earthquakes, volcanic eruptions, war and damages that result from an owner’s neglect. Sometimes wind damage can be excluded in coastal areas or if flooding and high winds wreck a home at the same time. Homeowners bracing for a hurricane’s devastation may not even realize they need a separate flood policy for losses from surging ocean waves or an overflowing river. Note: This list is based on the standard homeowners policy considered the most popular, as provided by Insurance Services Office Inc. Other types of policies can cover fewer or more protections. U.S. law requires people to purchase basic flood insurance if they buy a home in a designated high-risk flood area with a federally backed mortgage. (See floodsmart.gov for more information.) But Hurricane Harvey showed recently that flooding can also damage properties outside the highest-risk zones and affect homeowners who weren’t required to buy the additional coverage. The major flood insurer is now the U.S. government, which in 1968 created the National Flood Insurance Program to fill a gap long left by private carriers because of the catastrophic risks they would face. It provides coverage of up to $250,000 to repair a home and $100,000 for personal possessions. Homeowners can buy the federal policies from private insurers that sell them on behalf of the government. But consumers have a 30-day waiting period before the policies take effect, meaning it is too late now to lock those in before Hurricane Irma potentially hits the U.S. Southeast. In Florida, 1.7 million government policies were in force as of June 30. More Floridians own the policies than do residents in any other state, including more-populous California and Texas. But the 1.7 million works out to only about 19% of housing units in the state, and that was down from 2 million policies, or 23% of a smaller number of housing units, in 2012. Large disasters have a history of triggering dramatic changes in policies offered to homeowners over time. Following a devastating 1927 flood that inundated the Mississippi River, many private insurers stopped offering flood insurance. Many insurers scaled those policies back following Hurricane Andrew in 1992, which caused nearly $25 billion in inflation-adjusted insured costs. The disaster convinced many home insurers that they still didn’t have a good grasp of the risk they faced in coastal areas. Some insurers began charging consumers a higher “hurricane deductible” for when a hurricane does occur. Those changes spread widely after the back-to-back hurricane years of 2004 and 2005, when the U.S. was hit by seven of its costliest-ever hurricanes, including Katrina. If the hurricane deductible is triggered, consumers can be responsible for paying from 1% to about 10% of the total insured value of the building or its contents. Insurers will only pay for damage that exceeds the deductible amount. The task of making sure a home is properly insured has become considerably more complicated as policies have increasingly varied across states and carriers, said University of Minnesota Law School professor Daniel Schwarcz. A hurricane’s arrival increases those complications. Policies often include a clause that states if a covered and non-covered event happen at the same time, neither event is covered. This became an issue after Katrina, which hit Louisiana with both strong winds and massive flooding. Wind is also excluded from homeowner policies in some coastal areas and in those cases must be insured separately. Sometimes this coverage is available only from a state-run insurer of last resort. 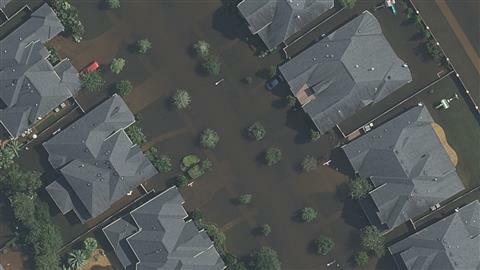 Rebuilding after a hurricane presents other dilemmas for owners of standard homeowner policies. Labor and materials costs can spike as many people seek contractors and supplies at the same time. Depending on the policy, insurers may or may not cover the full costs involved in rebuilding a home as it was before the storm or rebuilding to higher code standards. Some insurers offer inflation protection if the homeowner is willing to pay more. “Generally what we’ve seen is a reduction in coverage over time, over the last 20 years,” said Birny Birnbaum, director of the Center for Economic Justice, a consumer advocacy organization in Austin, Texas.